Getting Ready to Make the Move – PCS Style! Packing Up and Moving Out. Try bulk packing hanging clothes by surrounding them with a clean trash bag! *Photo and Idea by The Wicker House blog. This part of a PCS is probably the most calming for me, because I’m dealing with things I know. This is time to organize, throw away any junk and clean! So pop a DVD, or two, or three, into the player and get to packing! Here are Some Packing Tips to Help You Out! Start packing the little stuff first. Knick-knacks, pictures, art on the wall – Dust it off and pack it up! *Head to U-Haul and pick up packing paper. Make sure to use it liberally! Pack well. *Remember you are not moving across town with a PCS. Boxes should be packed tightly, yet not overpacked. The right size box for the right stuff works wonders! Go to the Dollar Tree and get Color Coding Labels. *These colored dots make it easy to tell what boxes are for what room. Go tape happy when securing the boxes! *I promise you won’t be sorry! Even try using masking tape on mirrors or picture frame glass – this gives the fragile object a little more support during the move. If you have extra time, number the boxes and write the contents down on a Packing List. *This way you can make sure no boxes were lost during the move if the military is moving you. And if one was lost, what the contents inside them were. Leave the kitchen and bathroom for last. *Your family will be thankful they can still make something to eat! Give yourself enough time to be able to clean your house/apartment before you leave. *Plan ahead! Number your boxes to insure none were lost during a move. Great for those who are having the military move them or doing a partial DITY move! Medicine that is currently being taken and extras like Benadryl, ibuprofen, etc. Checkbooks *To avoid any identity theft! A Packing List *This is just for you to stay organized! Most of these are common sense, but dealing with a PCS can be stressful, so keep a check list for yourself to stay on track! Top 5 Military Apps for Newbie Wives! So to make it a little easier on you, the 5 Phone Apps below were and still are my favorite for getting to know ins and outs of this crazy military world we live in! 1. 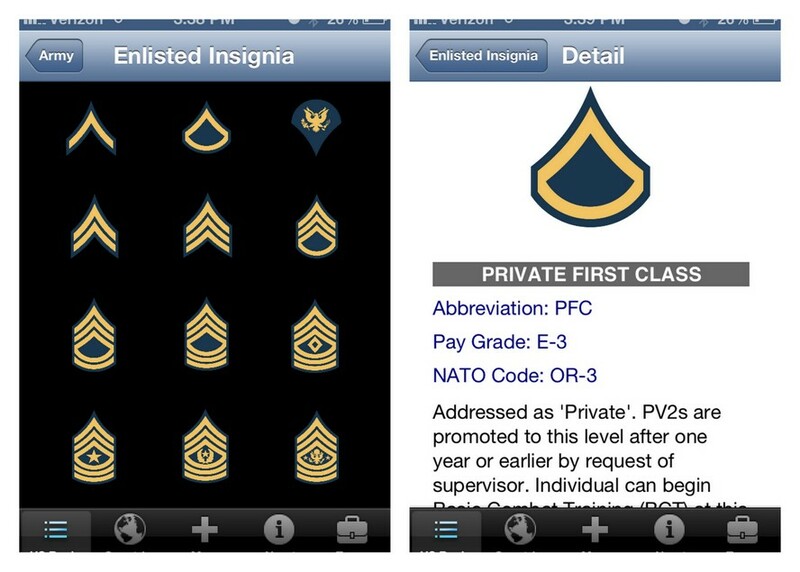 Military Ranks – you can’t go wrong with this app. Whether your spouse is in the Army, Marines, Navy, etc., it has all the ranks broken down for you so you know who is who! 2. USAA – this bank is meant for the military, and I LOVE it. 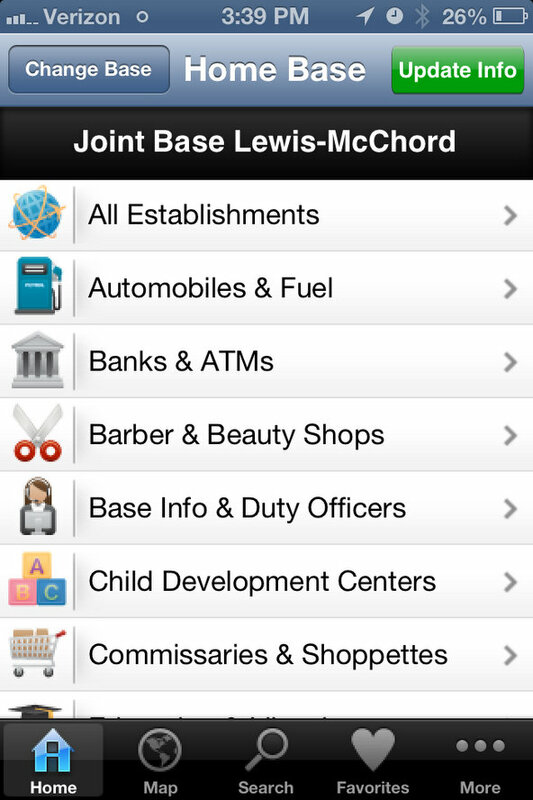 They are so helpful and have an awesome mobile app for military families and veterans. 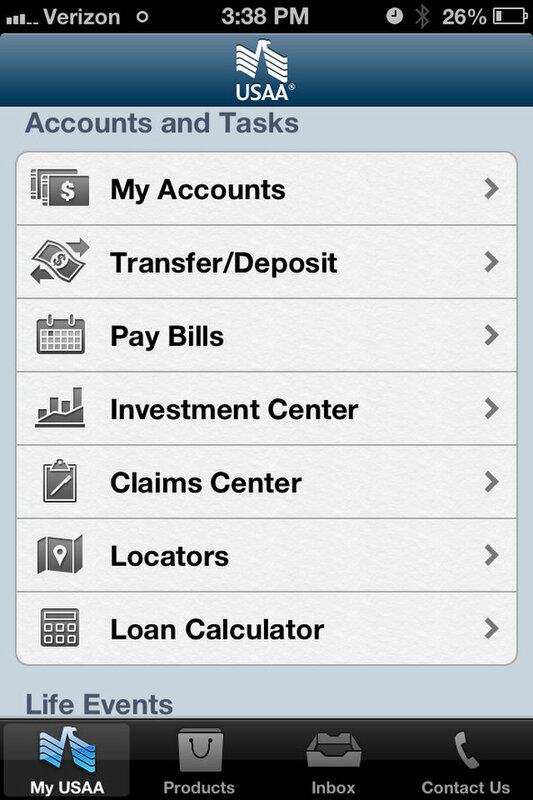 Their app also has a Spending Plan and Track Money option to keep you on track with your income! 3. Mil Traveler – you connect to your “home base” and it gives you everything you would need to know. For example, what building the MWR is in, their number and when they are open. Another thing I love about this app is that it gives you options for things nearby base as well. Ex. Looking for a golf course near Fort Lewis? It tells you there is one right off of Exit 116 on I-5! 4. 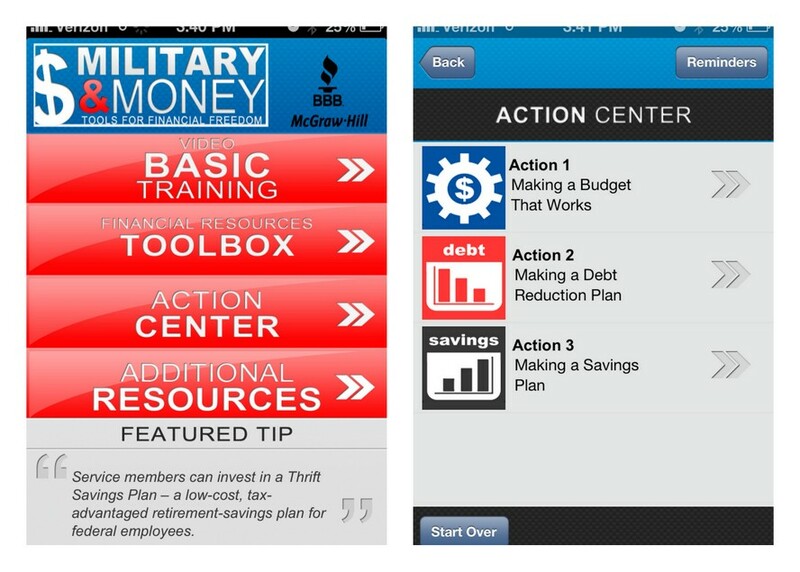 Military Money – another great option when creating a savings plan, debt reduction plan and more. Super great for our incomes! There is no reason we shouldn’t be saving money with great apps like these! 5. US Army – okay, okay. 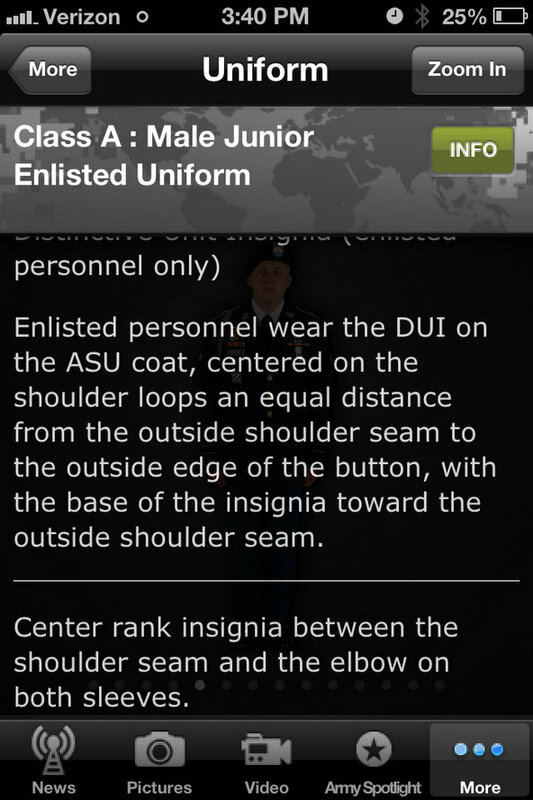 Now this app will only work for those in the Army, but it is awesome. One part I really love is the uniform section where they break down any uniform. It gives you everything your spouse will need to know to have his uniform in tip-top shape! 6. MilFit FREE – so this one isn’t necessarily for you, but I love understanding and seeing what is expected of our soldiers when it comes to fitness. 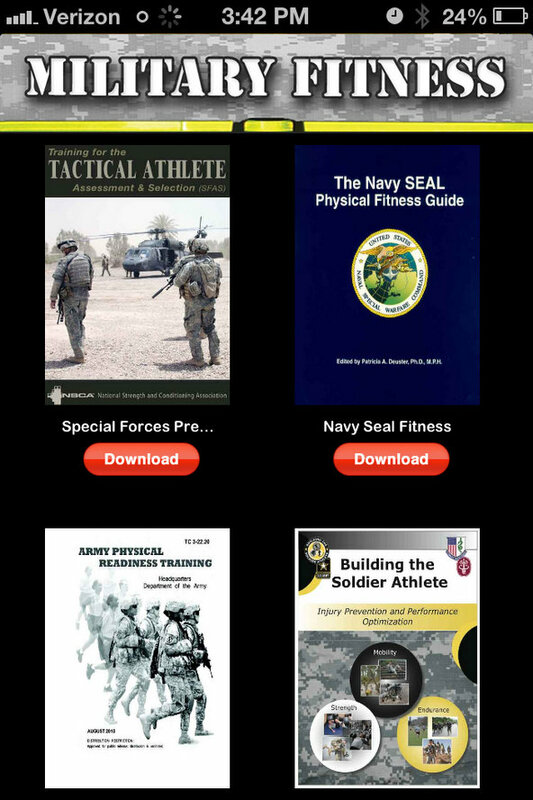 There are several different fitness “books” you can download on this app that are definitely interesting! The best part about all of the apps above is that they are FREE. Plus, they are all things that you can explore and learn new information when you are out and about! They have all been super handy for me!